There are few things as fun as ripping rounds at a target, and it just gets more fun with more capacity. So, Magpul’s introduction of the Glock PMAG 27 should get shooters really excited. Magpul designed this 27-round magazine to fit Glock 9mm pistols. In fact, this magazine fits all Glock 9mm pistols, at least all that take standard Glock magazines. Of course, protrusion from the handle occurs in all, especially the smaller guns. Now, the company creates these magazines using its proprietary all-polymer construction for flawless reliability and durability. In addition to capacity, the PMAG 27 features a high-visibility, controlled-tilt follower, a stainless steel spring, and an easily removable floorplate for cleaning. It also includes a paint pen dot matrix for magazine marking, ridged floorplate edges for better grip and capacity indicator windows. Magpul even designed this made-in-America magazine to drop free once the release is hit, which allows fast reloading after ripping 27 rounds. Additionally, it meets the overall length requirements for a 170MM competition magazine. And it does this without the need for expensive extensions. In fact, because Magpul has been able to establish some efficiencies in their production, the company has reduced the price of PMAGs for Glocks across the entire line. 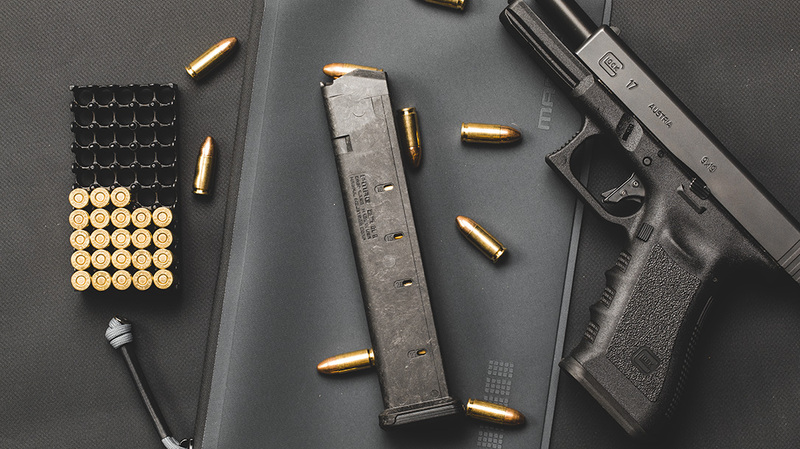 Whether you want a 10, 12 or higher capacity magazine, Magpul has a PMAG that works, all the way up to 27 rounds, at least as long as they are legal. For more information about Magpul’s Glock PMAG 27, please visit magpul.com. The post Glock PMAG 27: Magpul’s 27-Round 9mm Magazine Has Finally Arrived appeared first on Personal Defense World. .223 vs 5.56 NATO vs .223 Wylde: Will Your Slickgun Blow?